There are many who dream to make it big. There are few who make it happen. Then, there are fewer others who make it happen, on a colossal scale. What takes one to land in the latter two leagues? Anirudh Gururaj Rao is all of 22. He currently is pursuing his 4th year in engineering. 22 might seem minuscule a number in front of, not only to what he has brought to himself, but also the ones around him. 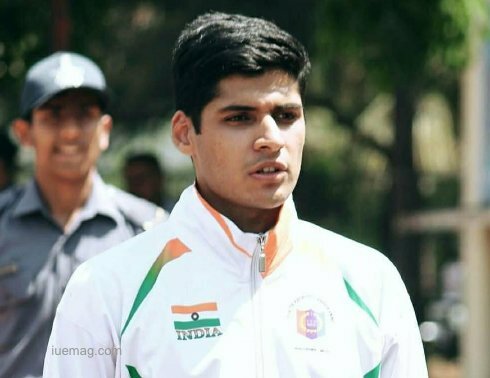 Anirudh has represented India, as an ambassador in Singapore, in the Youth Exchange Program; has been part of the NCC (Air Force Wing), in which he was the Cadet Senior Under Officer (CSUO), the highest rank in the wing; gives talks and trains many a lot many cadets in personality development, etc. He has given the guard of honour to the likes of the Prime Minister and Vice-President of India. He has a startup along with a few of his pals. He is a pioneer in many things, and will surely add many more to his incredible and enviable list. 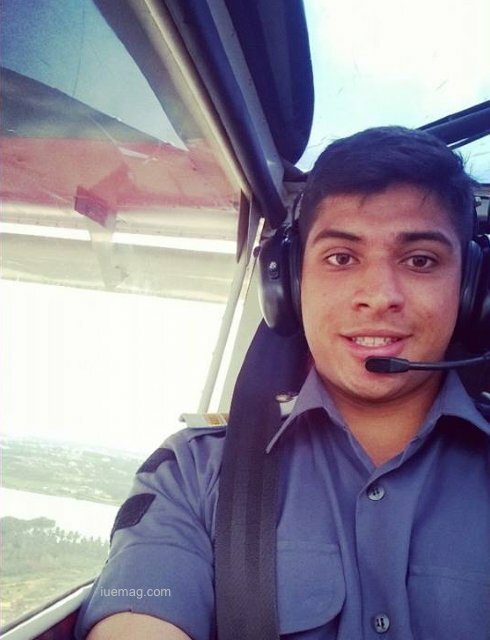 Having had always the penchant for the Indian Air Force, Anirudh joined the NCC during his 11th grade. He says that it gave him a huge platform to learn and serve, and in process, excel. “Since birth Air Force has always intrigued me. I want to become a pilot in the IAF. My goal is also to be the best in India in it. Not many people strive to do that”, says Anirudh, a man who’s always bubbling with energy. He has won many ‘Best Cadet’ awards, state and nation wise and even was nominated to give the ‘Guard of Honour’ to many bigwigs- Vice President of India, Prime Minister of India, Chief Minister of Delhi, Chief of Army, Navy and Air Force and Defence Minister of India, yet. A sound orator, Anirudh has addressed many gatherings around the country. He has also been invited as a chief guest to numerous events. On having been as an ambassador to Singapore from India, he says- “It was an amazing platform. I got to make friends from all over the world. It opened me up. It was a dream that came true. Not many people know about the opportunities around them. I feel lucky to have known the ones around me and to have strived towards it”. 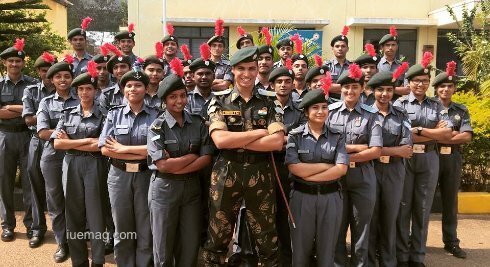 Having been in the NCC, which calls for discipline upright, Anirudh had this to say about discipline in one’s life- “There might be various definitions for the term. All I’ll say is, if one strives and sticks to the trajectory of the path to their ambition, that person is disciplined”. Anirudh is a man who is extremely self-aware. He says that being self-aware is knowing the abilities more than knowing the limitations. “People usually say, look up to others and try to do what they do. For me, it is the other way round- I look at people who have tried punching above their weights and failed, and I tell myself that I definitely wouldn’t do that”. True leaders don’t create followers. They only create more leaders. 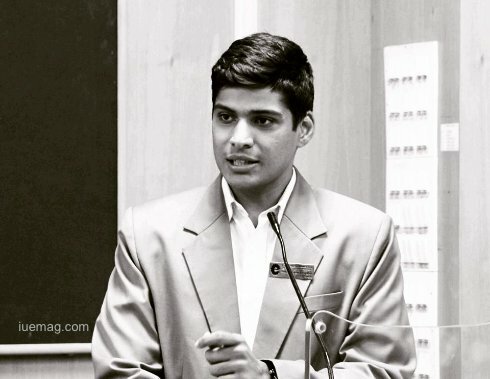 Anirudh believes that all people have the ability to lead. “The flight of a flock birds is the best way to explain my belief. Each bird in the flock takes turn to lead the flock from the front. This concept when applied can bring success to any team. It’s as important for the leader to get his hands in too. That is the difference between a manager and a leader”. We don’t realise that there have been many negative characters in the world that are hated by the lot, but are incredible leaders. The most prominent name is Adolf Hitler. The name sends thoughts of torment, but the skills with which he influenced a mass to belief in him and stick with him is a quality worth looking upto. We must look for a good leader or a bad leader, rather than a leader for good or a leader for bad. ‘One Tribe India’ is the startup co-founded by Anirudh as a result of his love for wildlife adventure. He says this venture, which happened on parallel lines, helped him grow as a leader. He believes that an endeavour towards goals is a never ending process. Anirudh says, “Ask yourself- ‘Who am I?’ With that, you can get answers to what you believe in, what the attributes are and what you want to do. The path to glory becomes much simpler”. This anecdote goes on to show the glimpses behind the young man, which took him to where he is. He surely is one with dreams sky-high, but nevertheless is going ahead at full throttle to reach them. He has understood basics of life around him well and is imparting the knowledge into the others too. All in all, he has carved a niche for himself well and commands much respect. He alone is a mighty squadron.